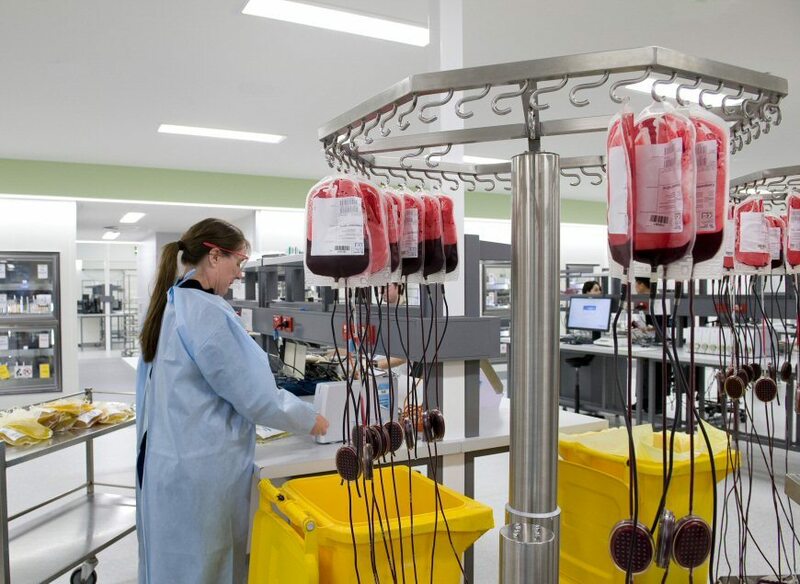 The largest blood processing facility in the southern hemisphere, the Australian Red Cross Blood Service’s Melbourne Processing Centre processes 30% of Australia’s blood donation collected from Victoria, Tasmania and South Australia. It also conducts life saving blood screening for organ transplants. As a primary contractor involved in the building’s recent redevelopment, AE Smith had critical insights into the complex custom-built heating, ventilation, air conditioning (HVAC) and refrigeration systems required to meet the strict compliance guidelines involved with supporting a health facility – as well as the critical nature of the building. “If anything goes wrong with any of these systems, the implications are huge – with people’s lives potentially put at risk,” adds Ash. Additionally, the Melbourne Processing Centre facility runs on N+1 redundancy (meaning there is two of every piece of equipment), and the whole site is designed to operate in “island mode” for up to four days in the event of a disaster. “This is most definitely not a standard commercial office building. This is service and maintenance of the most critical kind that helps keeps a critical facility operating as well as meeting strict compliance codes,” adds Ash. Along with temperature regulations and emergency back up support for the building’s cooling, refrigeration and BMS requirements, the maintenance program and documentation contributes towards the Blood Service maintaining compliance with applicable Therapeutic Goods Administration (TGA) requirements. “There’s extremely strict controls and guidelines surrounding blood storage, testing and supply that are audited regularly and can be affected by any issues with the systems we maintain,” explains Ash. It was AE Smith’s understanding of these combined issues, matched with their work on some of Melbourne’s other critical sites, facilities and buildings that saw them win this significant contract. “Our understanding of the complex systems involved in developing and running a critical site like this as well as our work with the Victorian Archives, Melbourne Cricket Ground (MCG) and Crown Casino who have similar pressures meant we could really demonstrate our expertise in this field,” adds Ash. The size and experience of the AE Smith Service team who are fully trained, accredited and orientated with the highly unique site was also an advantage. “Our ability to train and manage a group of diversely qualified and experienced technicians to work on the site was also really important – you can’t have only one person assigned to a critical facility like this,” he adds.